take on is a consulting firm based in Zurich/Switzerland. While offering strategy consultancy for all industries and on a global basis, the firm has a focus on servicing international healthcare corporations as well as local pharma affiliates in Switzerland in strategy development and business operations. We consult our clients on their strategies and plans. On top, we take on work to ensure implementation and measurable results for our clients´ businesses. take on offers services in four key areas. All take on services are managed and delivered by Klaus Moser with support by his team. take on offers to bring in additional expertise from the firm’s unique network of other international strategy consultants as well as local Swiss functional experts. take on will only engage with other professionals that fully match the needs of our clients and involve them from project scoping to execution. Klaus Moser is an independent consultant combining experience from strategy consulting (BCG) and line management (Pfizer, Sanofi Pasteur MSD). In his career, Klaus Moser gathered extensive strategic, commercial and project management skills in healthcare and other industries, in large and mid-sized organizations, on an international and Swiss market level. With 18 years of professional career and having been in a wide range of different functions and positions, he also has strong leadership experience. Klaus Moser is founder, owner and general manager of take on GmbH, Switzerland. Klaus Moser was general manager of Sanofi Pasteur MSD Switzerland with responsibility for the Swiss legal entity and vaccines business. In this role, he managed the demerger and closure of the firm by end of 2016. 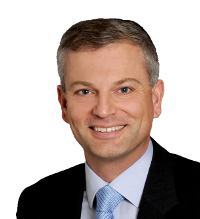 Earlier in 2014 and 2015, Klaus Moser was vaccines business unit lead for Austria and Switzerland at Pfizer. In both roles, he was manager of the entire pharma operation. Klaus Moser´s background comes from strategy consulting with The Boston Consulting Group (BCG) and from having been in various headquarter/regional roles at large pharma corporations being responsible for commercial management, regional and corporate strategic planning and alliance management. Klaus Moser also gained extensive project experience in business development/M&A, post-merger integration and restructuring. Klaus Moser earned his doctoral and master degrees in business administration. His academic research focused on mass customization strategies (click here for further information). To enable the firm´s comprehensive service offering, take on built a unique network of global professionals and local Swiss experts. This network includes select international strategy consultants on the one hand and local Swiss functional experts on the other. For its projects in the pharmaceutical industry and if required and agreed by the client, take on operates as a cross-functional team lead by Klaus Moser and comprising of experts from legal and finance as well as supply/logistics, regulatory, quality and medical.